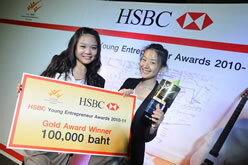 HSBC YEA is a business plan competition hosted since 2007 to foster entrepreneurial and business skills. 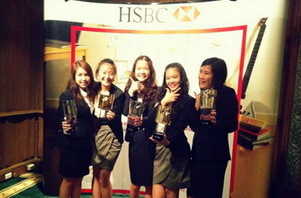 As the winner of HSBC YEA 2011, we are so happy to announce that BBA Thammasat has defended its championship in this event for the fourth consecutive year! In addition, our very charming BBA#16 colleagues from Team Nirvana, made up of Siriphen Ongkamongkol, Patarinee Bovonratwet, and Panhatai Jongpanichkultorn were also awarded the 1st runner up Silver Prize, making the BBA Thammasat family evermore proud. Posted date: June 2, 2011 � 09:50 hrs.